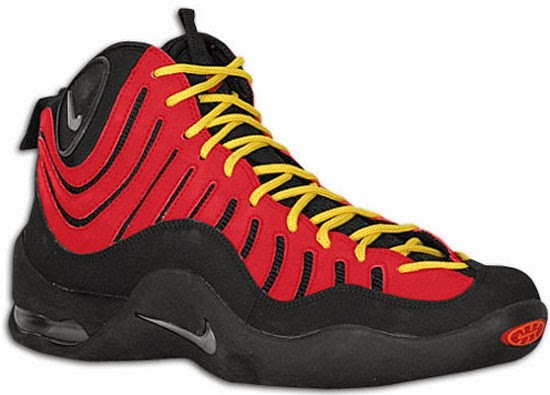 Originally released in 1997, the Tim Hardaway classic, Nike Air Bakin' is returning in 2014. First retroed in 2007, they are back for another round. The original black, metallic silver, varsity red and orange blaze colorway will kick things off, just like they did seven years ago. Featuring a black and red based upper with silver and orange accents finished off by yellow laces. A general release, look out for these at select Nike accounts worldwide on Saturday, April 5th, 2014. Retail is set at $125. 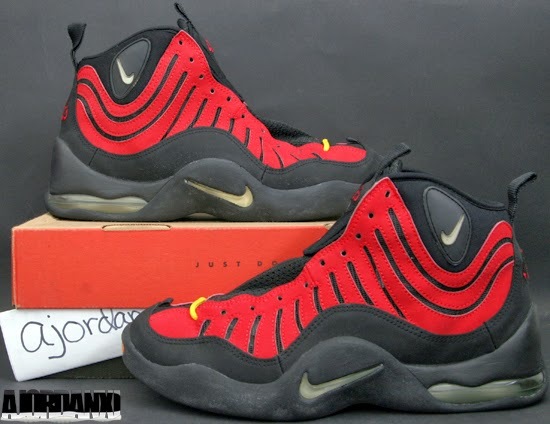 I have also included images of my original pair from 1997 as well as my retro pair from 2007 for those interested in seeing how this years release compares to previous ones. 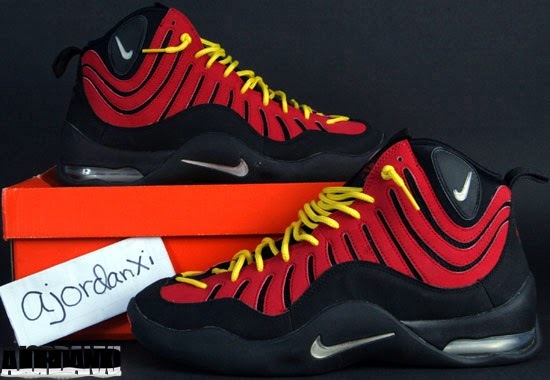 Enjoy the image below of the Nike Air Bakin' in black, metallic silver, varsity red and orange blaze. If you're interested in picking these up when they release, check in with your local spots to see if they will be receiving them. Those of you looking for a pair now can, grab them from eBay here.